Having spent a number of years competing at the highest level of karting, Simon Wright started his own racing team in 1978, winning the British Championships with Steve Murphy in the Junior Britain category. Simon then made the bold decision to develop and produce his own kart. 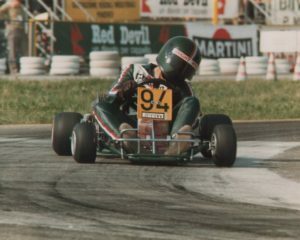 Along with his brother Paul, they designed and developed a kart capable of competing in the highest echelons of kart racing. 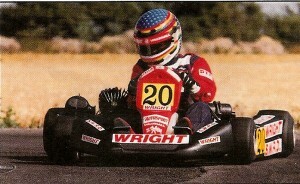 The Wright kart went on to win the British Championships just one year later. The company “Simon Wright Racing Developments” (S.W.R.D.) was founded in 1978 and produced “Wright Karts” for the domestic (UK) market from 1980. The success that followed soon led to the popularity of the brand growing and S.W.R.D. began exporting Wright Karts to Europe and the Far-East markets. S.W.R.D./Wright Karts have contested the ultra-competitive Junior/ICA/Formula A/Formula SuperA/KF1/KF2/KF3/KZ1/KZ2 and Formula Super ICC World and European Championships for over two decades. S.W.R.D. Racing Engines is subsidiary a of Simon Wright Racing Developments and specialises in the tuning of kart racing engines. S.W.R.D. Racing Engines have been an agent for Italian motor giants Iame for over 20 years (the longest serving in the UK). Throughout the years S.W.R.D. have amassed a number of drivers whom they have helped propel into a successful motor racing career. 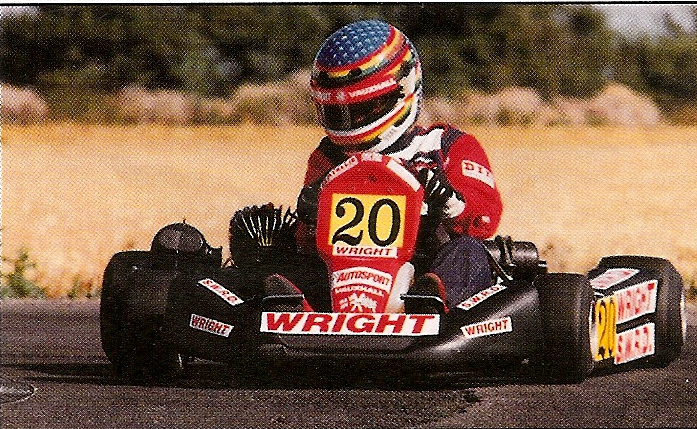 Jenson joined Wright Karts in 1990 after finishing 3rd the previous year in the National Cadet Championships. In his first year with the Team (1990) Jenson came second in the Cadet Championship with a total of five major race wins that year. The winner of the Championships that year was Daniel Wheldon (Ex-Indy car champion), a driver who would later also go on to join Wright Karts. In 1991 Jenson had a year that has never been repeated at that level of competition, 34 races unbeaten. Jenson went on to win the British Championship that year. After his phenomenal year in Cadets, Jenson moved into Junior UK (now known as Junior TKM). Within his first year in the class, Jenson took both the Championship and “O” Plate (British Open) titles. Jenson continued his partnership with Wright Karts in 1993 winning the Junior UK (TKM) “O” plate once more. Dan Wheldon, IRL (Indy Race League) Champion 2005 and two time Indy 500 winner, also spent the vast majority of his karting career with Simon Wright Racing winning multiple British Championships along the way. Wheldon started his title sequence with Wright Karts winning the British Junior Championship in 1993.